When Francisco Tafoya and his wife broke up, she moved to Philadelphia, taking their daughter with her. It's been over six months since Francisco has seen Adeline, 5. Now, she's back in town, and Francisco is going ... the extra mile ... to see her. Francisco stopped by the 93.1 KISS El Paso studios on the 80-mile trek he's taking from Las Cruces, N.M., to Fabens, Tx. -- on foot. With his car busted, and money being tight, he wasn't sure he was going to be able to see his daughter. And while he could have asked friends and family to drive him the hour-and-a-half from his home, he decided he wanted to make a bigger statement than that. He wanted to show his daughter that he would do anything for her. 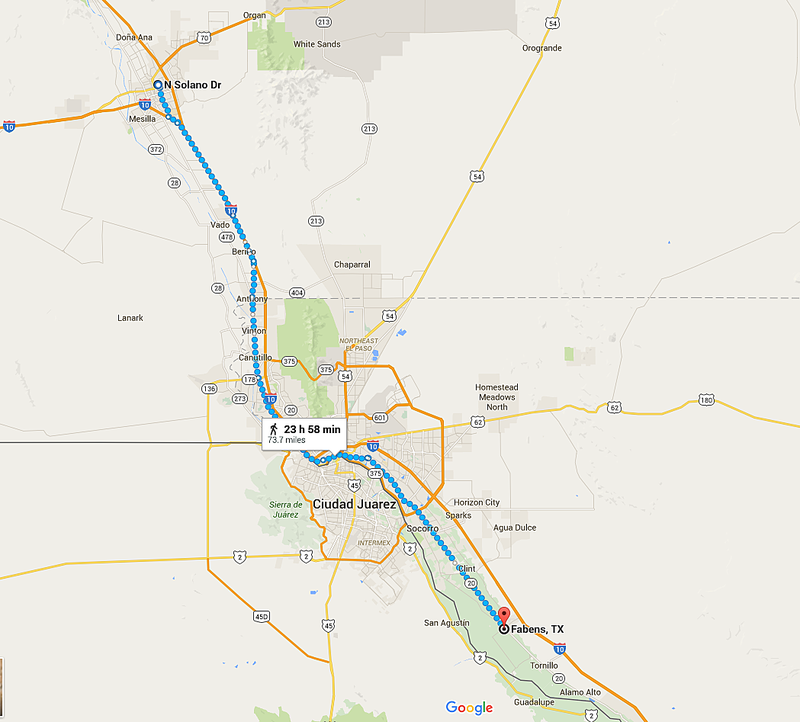 So, with a 40-pound backpack of supplies, he set out from Las Cruces at midnight, June 16. If you walked without stopping, the journey would take 24 hours. However, weighed down with supplies and walking on uneven ground -- and yes, stopping to rest -- it could take him until Friday evening, June 17, to make it. When he reached the station at about 6:50 p.m. this afternoon (Thursday), he had walked just over 40 miles already. The video above is Francisco's story -- it's one that you can very easily share with a father you love this Father's Day. And if nothing else, you can be reminded that love knows no distances. NEXT: How Much Will America Spend on Father's Day?